This project is about storing and retrieving Book Details in the library so we will create database and table according to the project. There are 5 parts in this project and this is 3rd Part. Create Database LibraryDB. Open Server Explorer in Visual Studio. Go to View > Server Explorer. 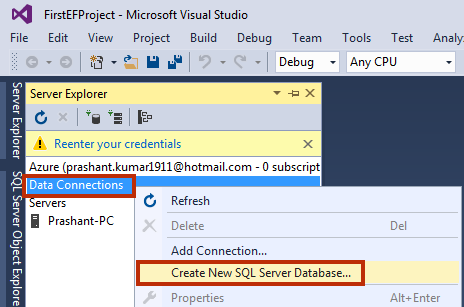 Right Click on Data Connections and click on Create New SQL Server Database. 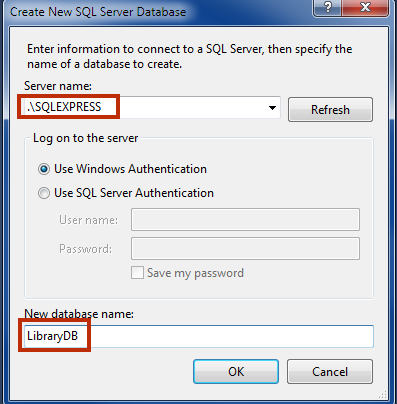 Give Server Name as follows and Create Database LibraryDB. Add a New Table BookDetails in the database. 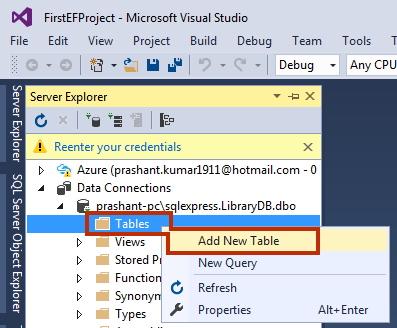 Expand LibraryDB in server explorer and right click on Tables and click on Add New Tables. Create a table as mentioned in picture. After designing table click on Update button to save it into the database. In this chapter, you created SQL Database and a Table. 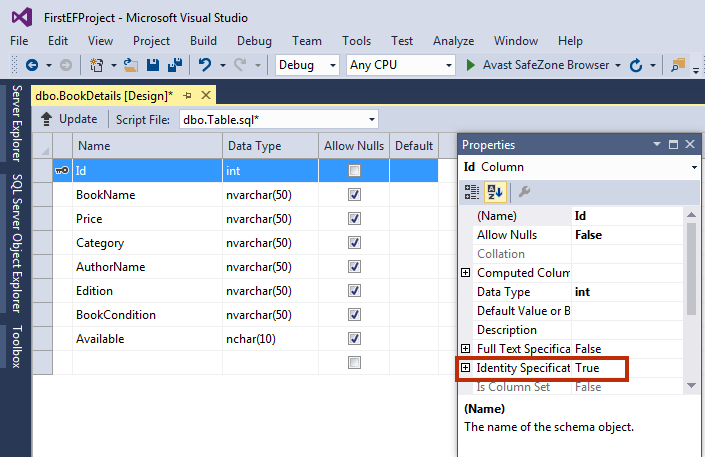 In the next chapter, we will Install Entity Framework and Create Data Model.